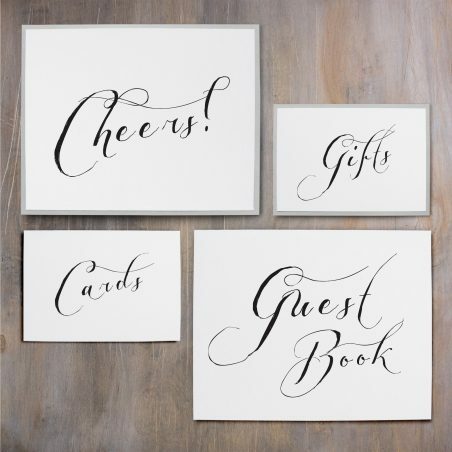 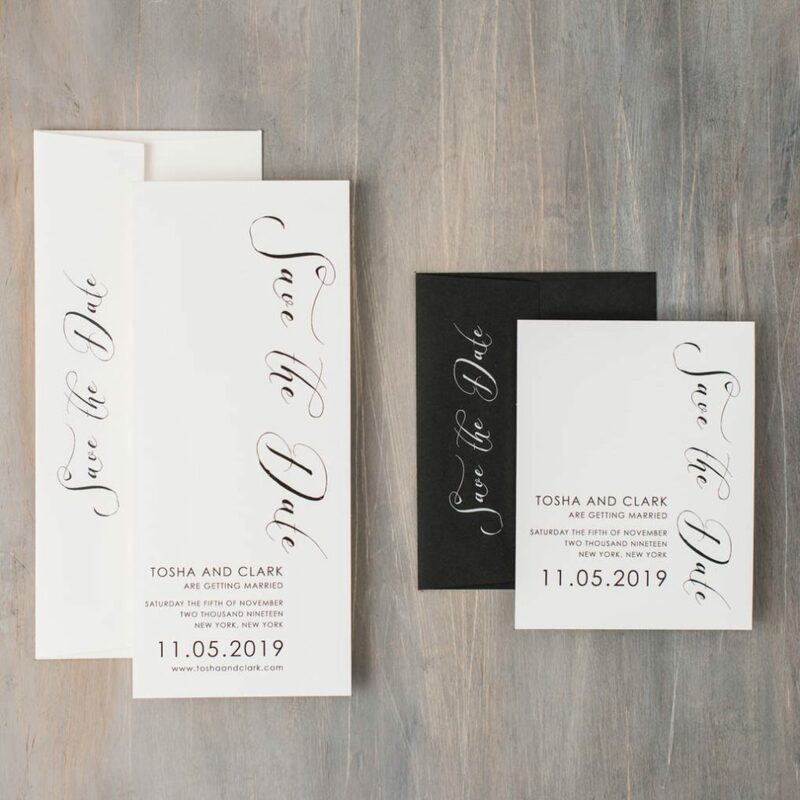 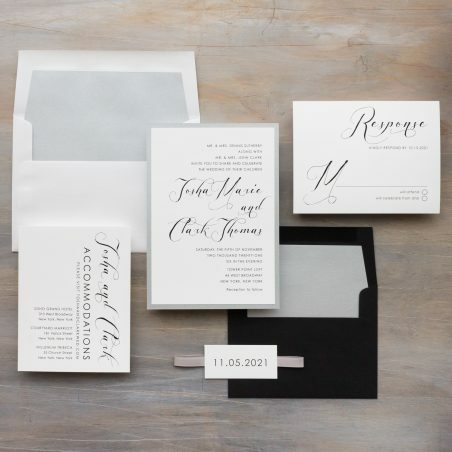 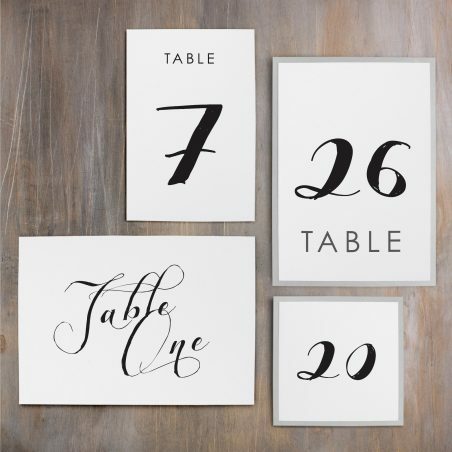 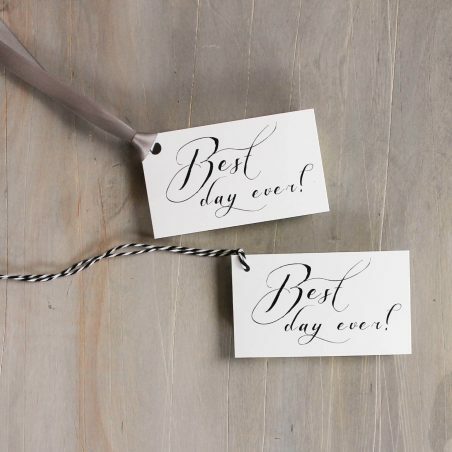 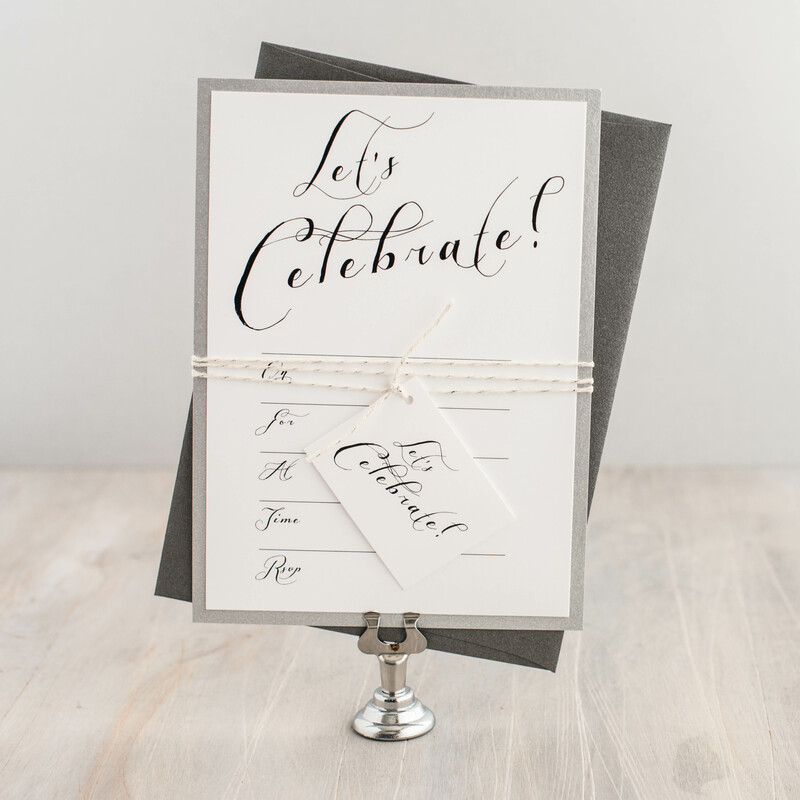 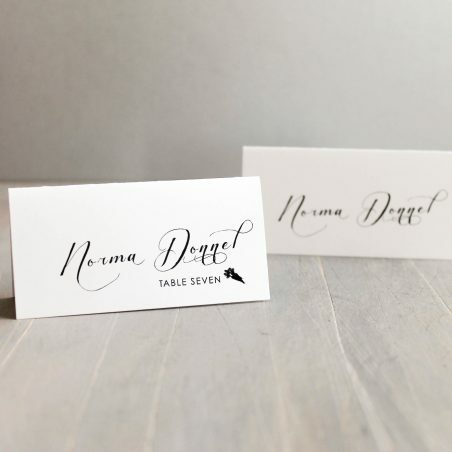 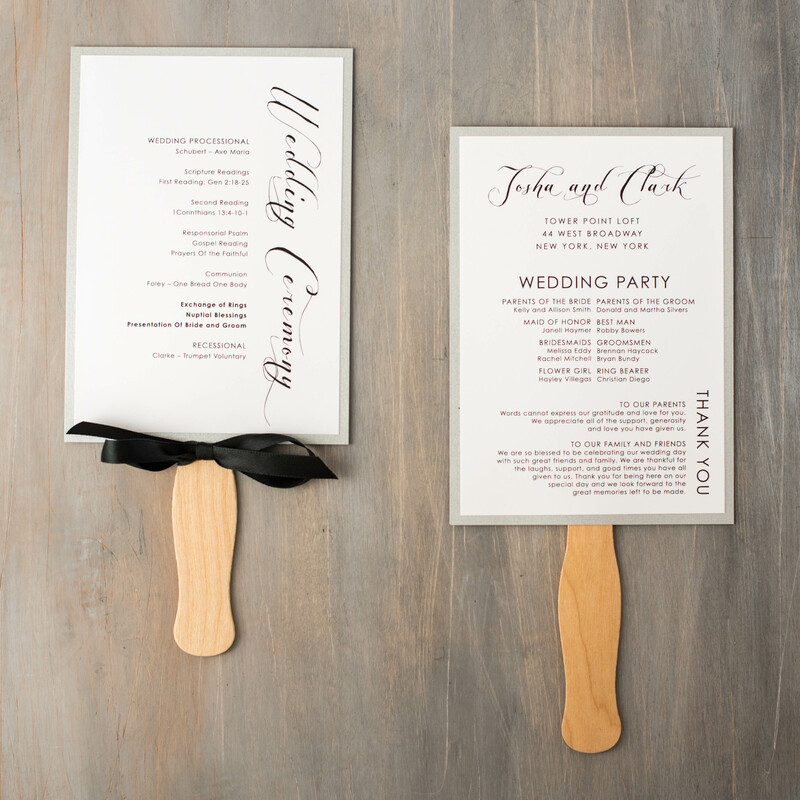 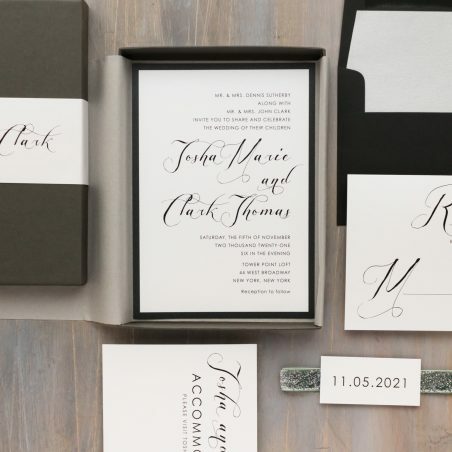 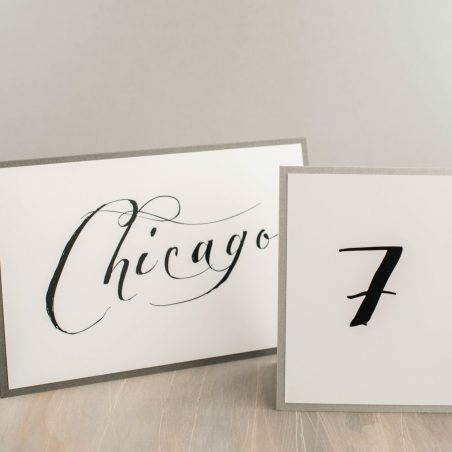 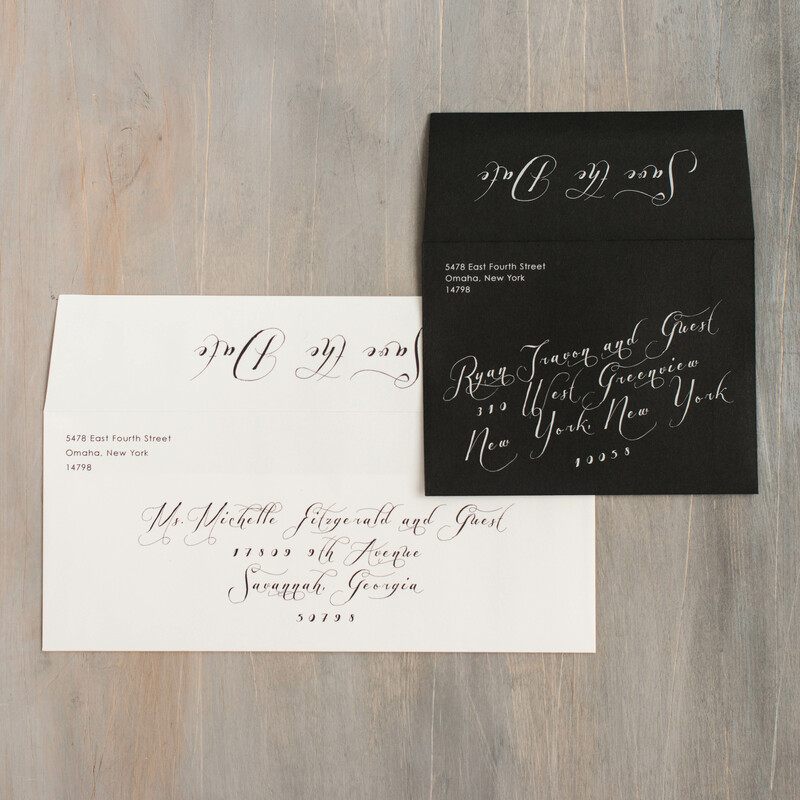 Calligraphy inspired invites with a twist, Black Script wedding save the dates are designed for the modern wedding. 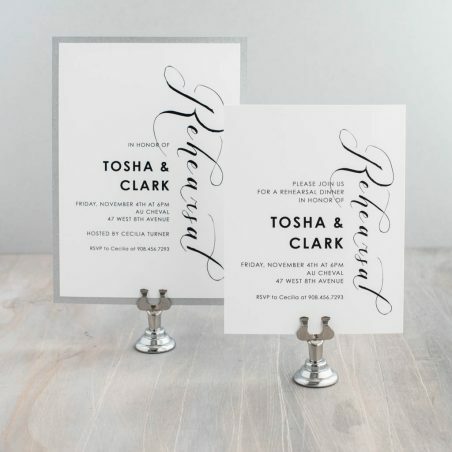 Sleek and classy, they’ll set an elegant tone for your sophisticated nuptials. 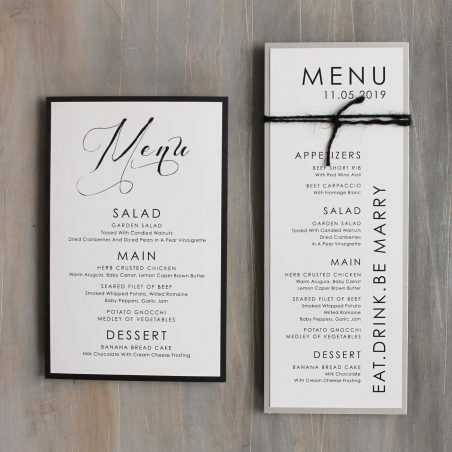 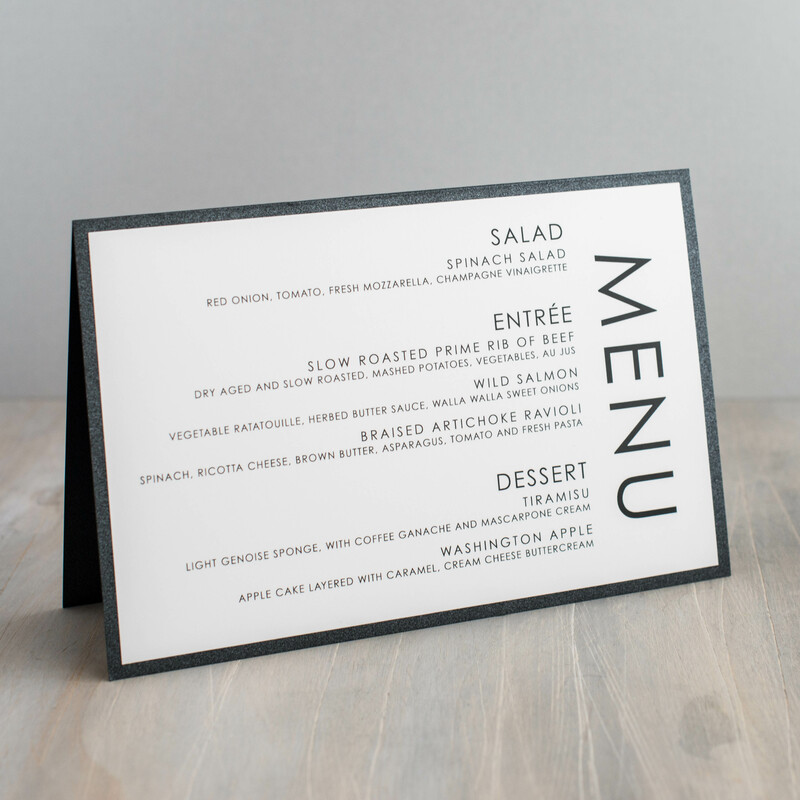 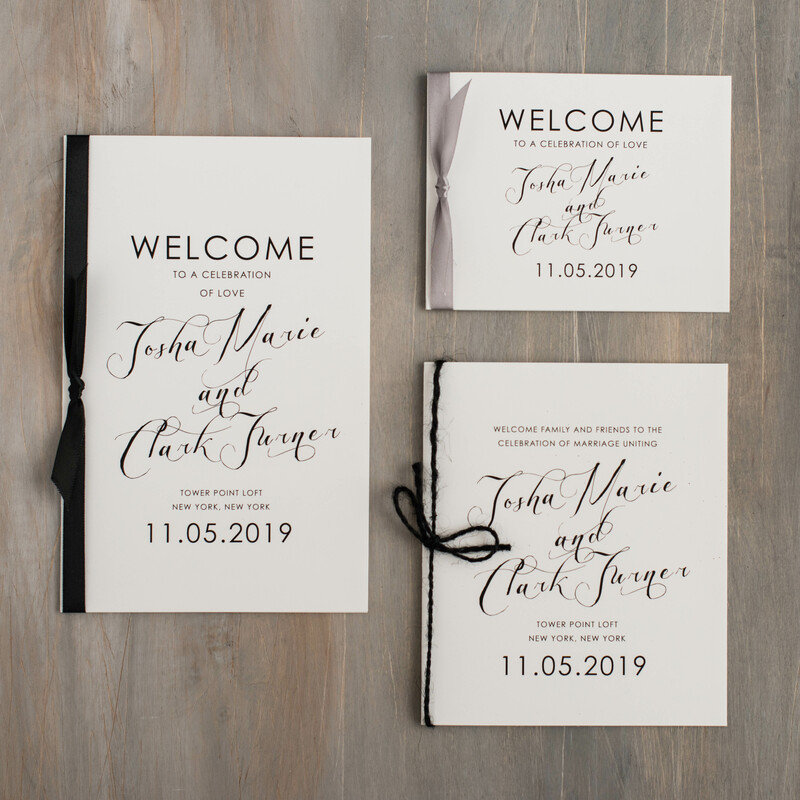 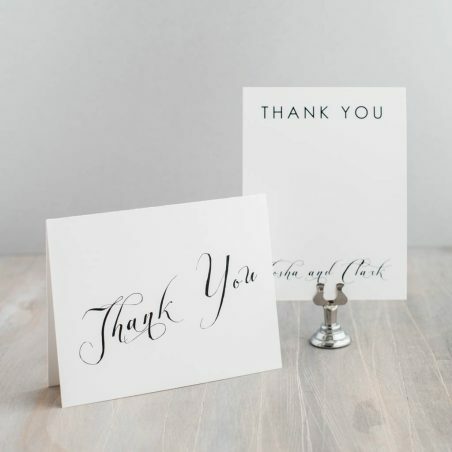 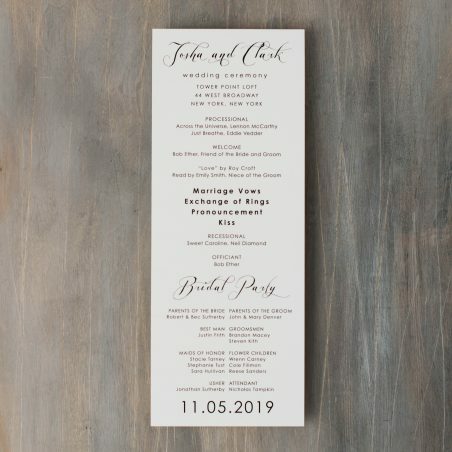 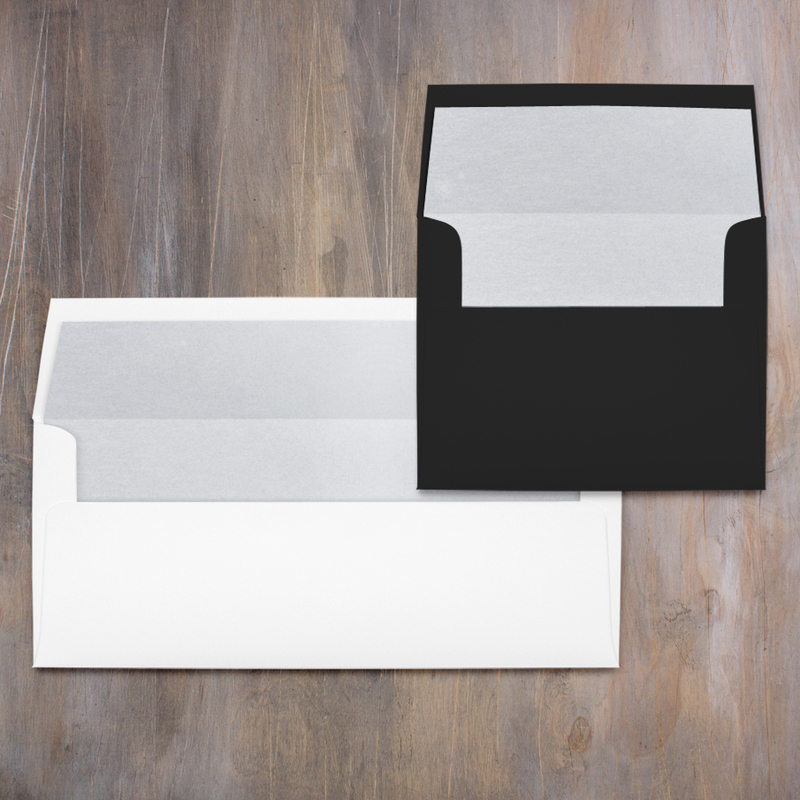 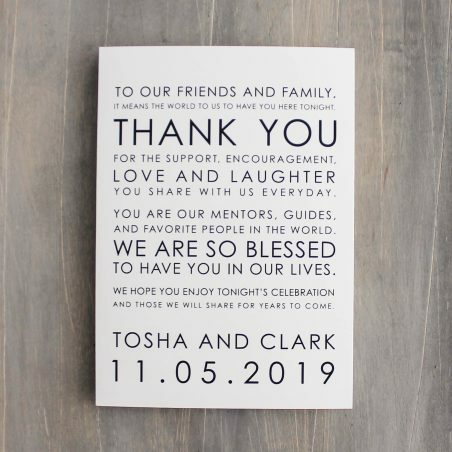 Add on digital envelope printing and hand crafted envelope liners to match and we promise that your guests will be swooning!